We all know adults use recliners for relaxation, but when you have a baby, it’s hard to relax. Thankfully, there are recliners that are made for your nursery so you can relax with your baby. By having the best recliner for nursery, you can soothe your baby to sleep and you can get some rest. 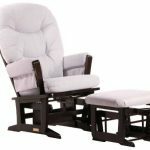 In this article, we’ll talk about the benefits of buying a recliner for your nursery, the factors you should consider before buying, and tips on how to choose the best recliner for your nursery room. 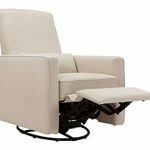 For now, take a look at the top 10 best recliners for nurseries below! These include the best chairs on the market for every type of nursery room you can think of. 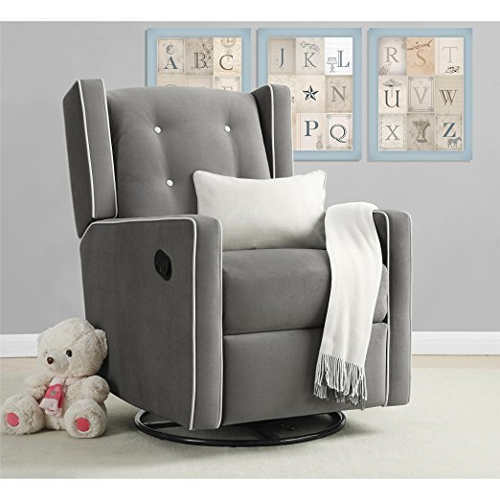 Did you know that a recliner is actually one of the more beneficial pieces you can have in a nursery? Not only does it help your baby, but it helps you as well. The biggest benefit as a parent, is that it gives you a chance to relax during a rough night as you try to get your baby back to sleep. In return, your baby will be much calmer and soothed on your chest or tummy as you're rocking (or gliding). Recliners actually post a number of health benefits for those that have edema or circulation issues. When you put your feet up in a recliner, you’re able to encourage better blood flow circulation, as well as a reduction in edema. The first years of baby’s life are challenging for new parents. 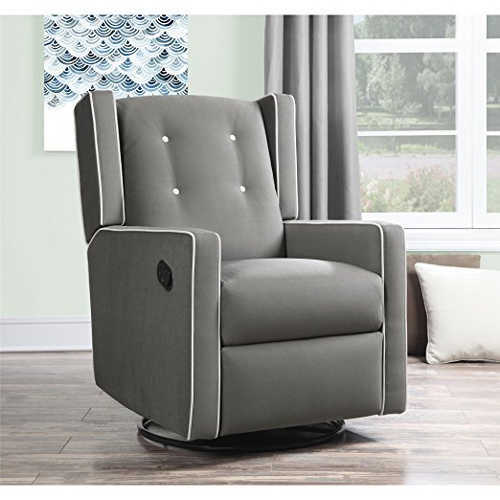 It’s tough to tackle health issues when you already have a baby to look after, but when you buy a recliner that can take care of both of you at once, you’ll have no problem catering to your health here and there – after all, you deserve it! One of the more beneficial factors of choosing to use a recliner is that your baby will fall asleep a lot quicker. There are some babies that can’t get to sleep without riding around in a car first, and if you want to save gas and stop your baby from crying, rocking them in a recliner or allowing them to sleep on you in a recliner is one of the best things you can do. Save money, time, gas and energy when you do so. 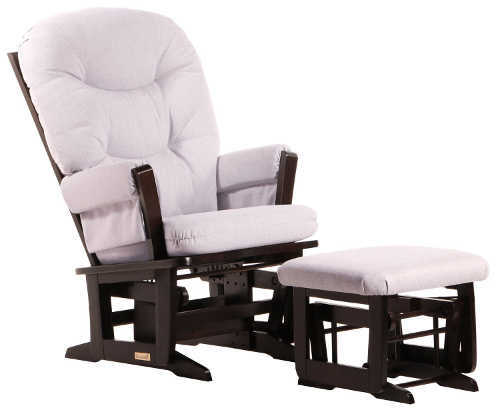 The Baby Relax Mikayla glider recliner is one of the best selling chairs. 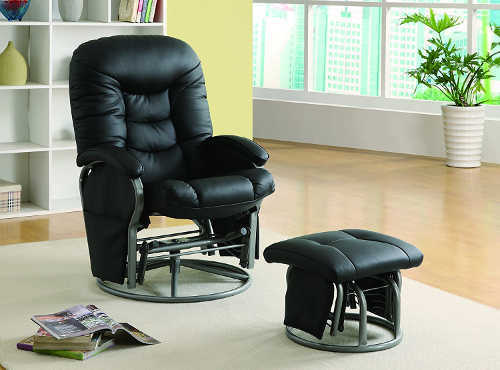 One of the best rockers, very few chairs provide reclining features this great. Mothers love the glider and feel secure while they rocking, the importance of this can't be overlooked. Very few chairs offer that type of complete support while still remaining gentle. We found that the "ball-bearing" mechanism is great for a clean glider motion and rotating. 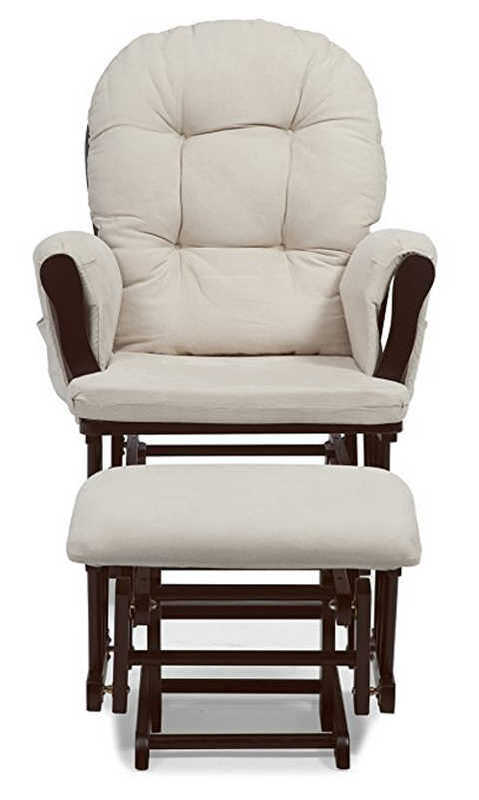 The chair also features secure motion springs, and it was rated highest among parents. It was no surprise that the reviews boasted about the functional stylish design and swivel/rocking components. What makes this recliner great? Our favorite part of the Mikayla recliner are the 3 functional positions. Another bonus is that the upholstery is much easier to clean in comparison to other chairs. And we can't forget about the track arm design which makes it easy to snuggle, relax, and feed your baby. The only downside of this recliner is that it doesn't come with an ottoman. 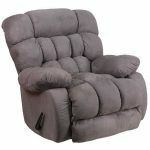 If you were specifically looking for a recliner with an ottoman, you will find a lot of great options on our list. 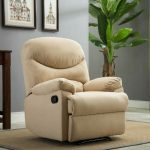 Otherwise, if you want to find out more about the Mikayla recliner then you can read our complete detailed review. What stood out the most was the quiet, smooth and 360 reclining feature. Along with the bright pattern, the Sutton gliders personality is expressive. It comes with extra padded back, seat and arms, providing premium comfort. 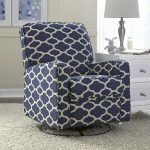 One of the best parts about this chair is that the top quality fabric makes the recliner easy to manage and clean when you have accidents. 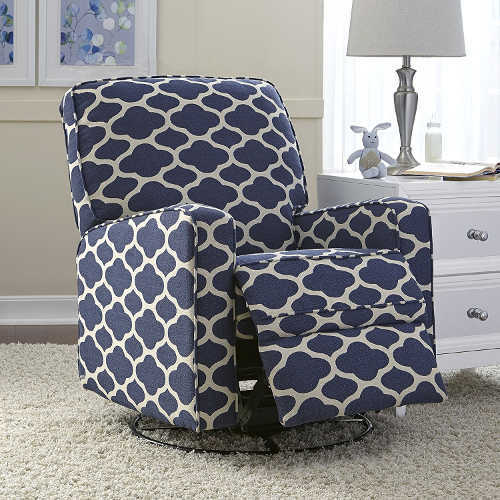 With this chair you get the full package, a swivel recliner that is stylish and comfortable for rocking. Kids love it and it guides your movement and creates a soothing motion. Reviews especially rave about the glider rocking motion for babies. We found that the Sutton was a small chair, and that doesn't work for everyone. 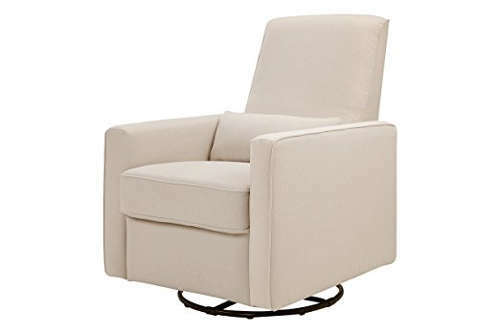 Next on our list, is a cute little minimalistic recliner that’s manufactured by DaVinci. Although it is available in different colors, we’ll focus on the cream version today. Features of the aforementioned can be found below. The stand out feature was the strong metal base which enables gentle and smooth swiveling. You'll also be able to glide forwards and backward with ease, so you can turn when someone opens the door, or turn away from the light from the windows without having to rearrange furniture. 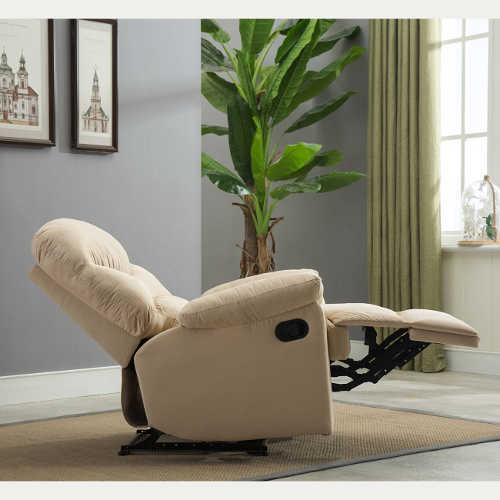 A consumer favorite, people continuously boast about the smooth recline feature. If you have a baby that wakes up easily, a smooth recliner will ensure that you can get comfortable without having to wake them up – a true lifesaver. 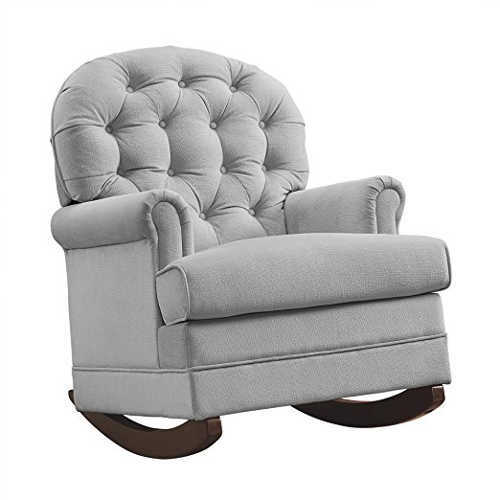 If you want something that is reminiscent of your grandpa's recliner, this may not be the one. This design isn't as fluffy and is much more minimalist. With a thinner back to ensure space saving, you'll be able to recline with ease, but without that typical recliner appearance. 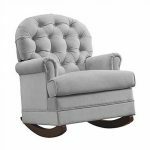 Manufactured by Belleze, this next recliner is one that may be more reminiscent of your family’s old recliner from when you were little. If you want something that’s minimalistic, soft in appearance and holds that traditional family recliner look, then look no further! 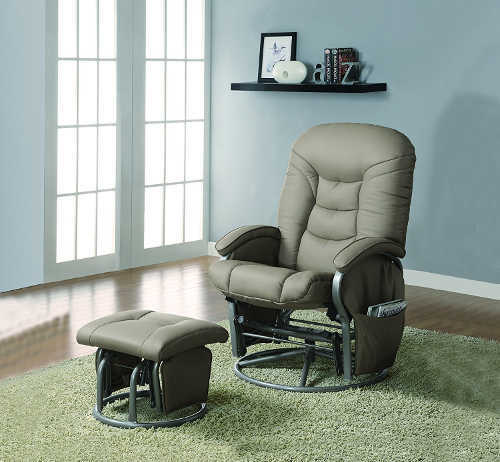 The Belleze recliner can bring all of that to you for a great price. 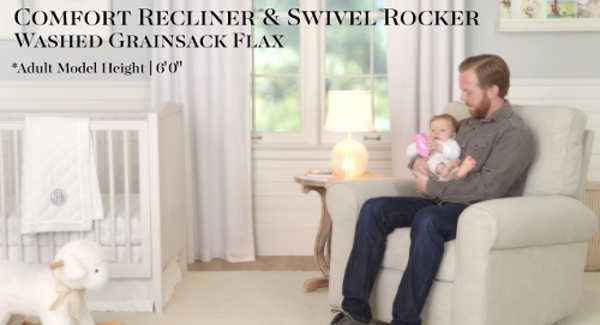 With an easy recline knob on the side and an extra wide appearance for everyone to be comfortable, you can rock and recline comfortably with your baby. The inclusion of an extra wide seat with additional padding ensures that those long rocking sessions remain comfortable for your legs and thighs. Parents come in all shapes and sizes, and after giving birth, no one wants to be scrunched into a seat. 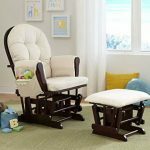 If you want something that isn’t extra wide because you want to snuggle as closely as you can to your baby or to the seat, you’ll want a narrow designed rocker and ottoman set. While not a true disadvantage, it’s something to think about. Being wide and comfortable, the overall design doesn’t feel stiff at all. If you’re looking for something that takes the traditional rocking style and brings it to a modern chair without all the extra mess – you’ve found it here. 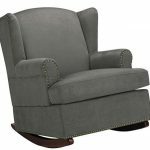 Featuring a stunning and modern wingback nail head design, you can include this style within any nursery and have it blend seamlessly. The biggest advantages of owning recliner is that it doesn’t actually recline. You might be thinking, “then why is it on this list?” Simple: because it rocks and is a pivotal piece of furniture. Attractive in appearance and able to rock your baby, you’re also able to save ample space by purchasing this style of chair over a recliner. Great for those parents that don’t have a large nursery. The aforementioned Baby Relax recliner isn’t actually a recliner, although it does rock with ease. 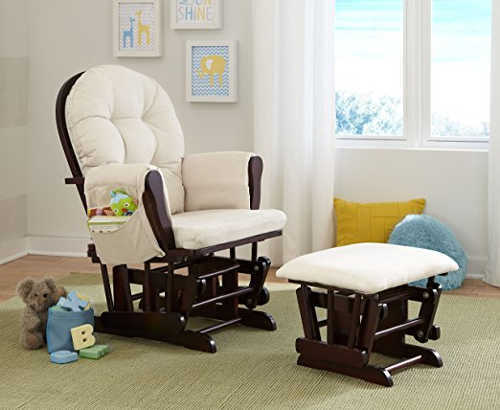 In having a rocker versus a recliner, you can save a ton of space while having a stunning design in your nursery. 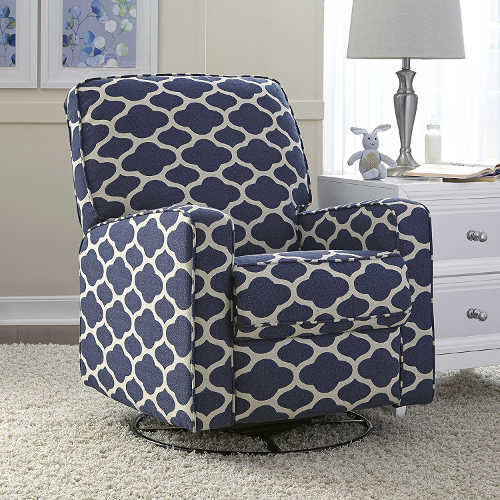 If you want a combo style that’s modern and is trending, you will love this recliner. 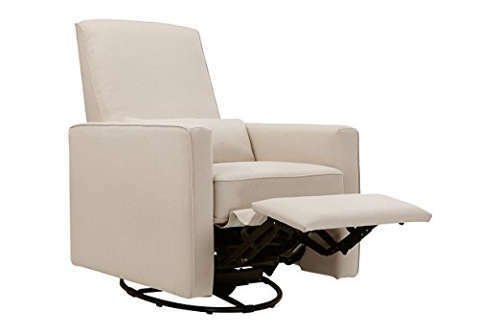 It features a gliding ottoman and a gliding and rocking mechanism in the chair. The automatic inclusion of a gliding ottoman is a huge advantage. You don’t have to go elsewhere and purchase an additional ottoman which saves you a ton of money. If you want something that’s going to have an actual reclining mechanism, you’ll want to look towards another chair. Store your or your baby’s belongings in the side pockets for easy access as you glide and rock them with this combo set. The inclusion of an ottoman that also glides and rocks ensures that you’re going to be receiving a full recliner without the traditional design. The inclusion of a pocket is one of the better benefits - and I think all parents can agree on that one. Having somewhere to store items for your baby is a huge plus, especially late at night. The ottoman is another advantage – especially since it rocks and glides. For a breakdown of the Stork Craft combo set and its full features and benefits, read our new review. The one aspect we would improve upon is the padding. Although it is soft, it be nicer if it was firmer. 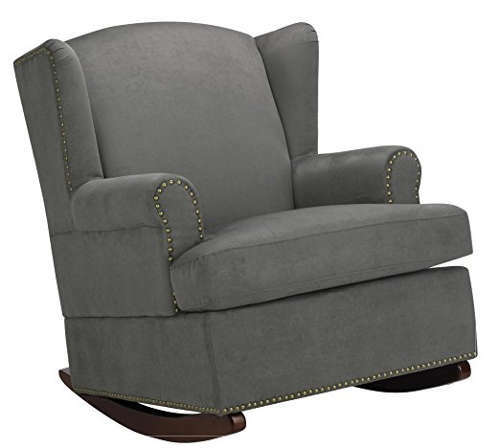 Featuring a traditional recliner design that has an arm to pull on the side, we loved the extra plushness of this chair. What makes it super plush? Most of the credit can go to the pill back design, as well as the arms to match. They make you feel like you're on a cloud! 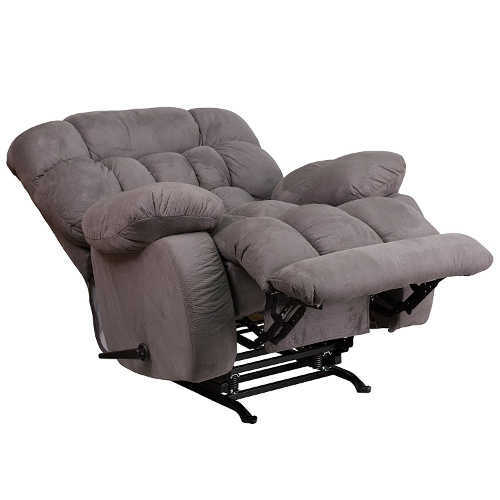 The rocking and reclining motion is what stands out the most. It provides the soothing motion along with the recline to give you the optimal positioning to fall asleep with your baby. 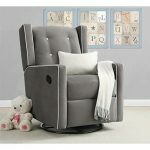 Since the chair is extra plush, you may not have enough space within the nursery for this – although you could easily use it in your living room. 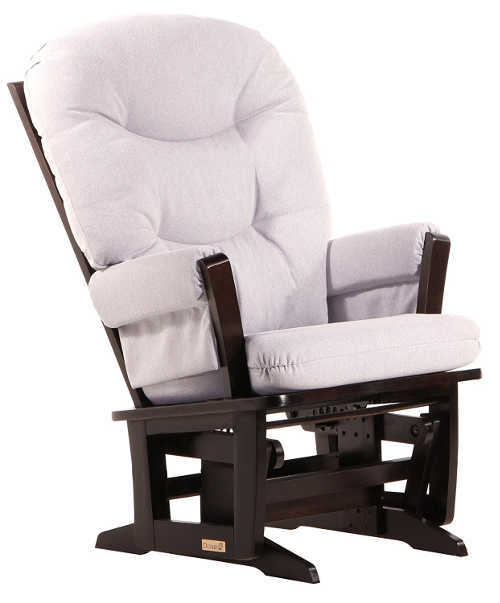 Another recliner from Baby Relax, this rocker is adorable and features vintage with a modern touch. 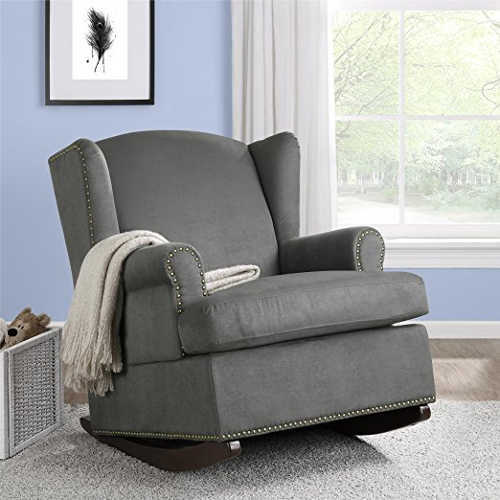 Featuring a blowback style, that’s tufted, and with plush padding, this rocker is adorable, sweet, and comfortable – all for a great price. Let’s not forget easy assembly, either! The appearance of this chair is what makes half of the people buy it – as it’s adorable and looks straight out of a magazine. Plus, you won’t have to take space away from the nursery as it’s compact and minimalistic. As you can see by now, one of the primary disadvantages is that it’s only a rocker, but for those that need to save space – it’s perfect! Featuring leatherette upholstery and a round front, you’ll be able to relax with ease! The pillow arm anchored onto the frame ensures stability of all pieces. And there is a round base that has gliding functions – just like the ottoman. 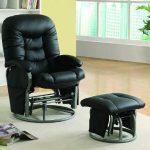 If you want something that can double as office furniture, you'll love this recliner and ottoman set. Beyond this, those that don't want something that's upholstered in a suede or microfiber will enjoy this leatherette design. If you want something that isn’t leatherette, so it’s not as cold, you’ll want something else – although we think this is a great option for those who have throw blankets to use on furniture! Now that you’ve learned the basic benefits, you should learn what to consider to make your purchase even simpler. One of the most important things to consider is your budget. Now that you have a baby and a nursery to plan around, you’ll want something that’s not going to tip the scales (and not in your favor). You’ll also want something that you’re not going to regret purchasing later, in terms of monetary value. You’ll want something that’s priced right for the current budget you have and the possible future budget you may be dealing with. Another factor to consider is the space in the nursery. Generally, nurseries are much smaller because it’s an incredibly tiny human occupying the space, and they aren’t going to be running around and needing a ton of space. Because of this, you may not have enough room for the most luxurious recliners. It’s all about your comfort and making sure that you and your baby are able to do everything you want, no matter the time. Often times we find nursery recliners become worn down and start to break apart. After having a baby and dealing with the new changes in your life, the last thing you want to worry about is your trusty recliner breaking down. With all that said, our pick is the Baby Relax Mikayla Swivel Gliding Recliner. It was just too good to pass up! It rocks smoothly, has an easy-access handle and provides enough room for mom and dad. The swivel feature gives you a lot of room to try different movements and it goes really far back which makes napping easy. You can read our full review here.